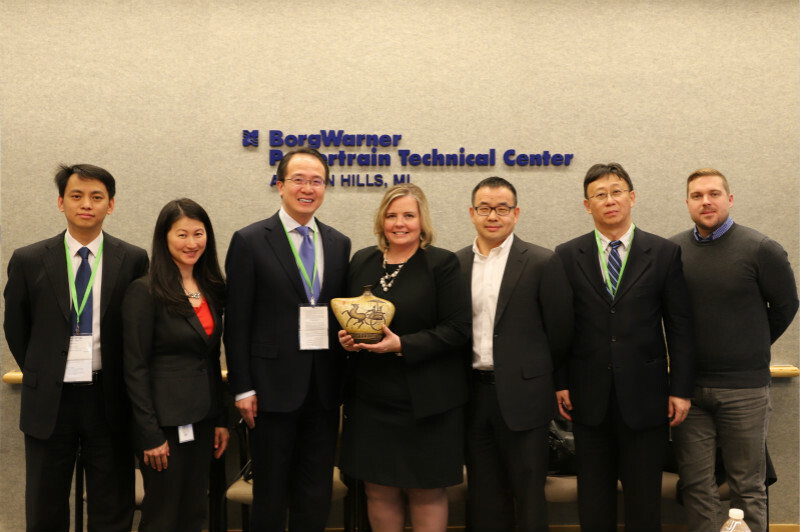 On April 6, 2018, Consul General Hong Lei visited Michigan-based U.S. Fortune 500 companies General Motors (GM) and BorgWarner, and met with Mr. Lee Godown, GM's Vice President for Global Markets and Ms. Erika Nielsen, BorgWarner's Director of Global Government Affairs. Consul General Hong Lei stated that since the two companies GM and BorgWarner entered the Chinese market, their businesses have witnessed continuous expansion and made great progress. While achieving their own development, they also provide Chinese customers with quality products and services. Their achievements in China epitomize the mutually beneficial nature of China-US cooperation in economy and trade. Currently, China's economy continues to maintain a steady and rapid growth. The Chinese middle-income population continues to grow, offering enormous commercial opportunities to businesses in the United States and around the world. In November this year, China will hold the first International Import Expo in Shanghai, providing a new platform for international businesses to further explore the Chinese market. By hosting this Expo, China hopes to share with the world new opportunities through its own development. We welcome the active participation of US companies. We hope US businesses can work with China to advance the development of Sino-US economic and trade cooperation. Vice President Godown said that GM has established 10 joint ventures in China, employing more than 50,000 people. China has become one of the most important markets for GM. He added that GM pays close attention to the development of China's automotive industry. It is willing to strengthen exchanges with Chinese partners in areas such as self-driving cars and renewable energy vehicle. Vice President Godown said that GM is also committed to expanding its business operations in the Chinese market. The company hopes that the US-China economic and trade relations will maintain stable development, providing a good environment for commercial exchanges between the two countries. Director Nielsen stated that BorgWarner is engaged in manufacturing propulsion systems for combustion, hybrid and electric vehicles. The company has developed business rapidly in China over the years and will continue to expand its business in China over the next 5 to 10 years. Since entering the Chinese market, BorgWarner has witnessed China's increasing support for foreign investment and programs that encourage growth for the manufacturing and high-tech sectors. 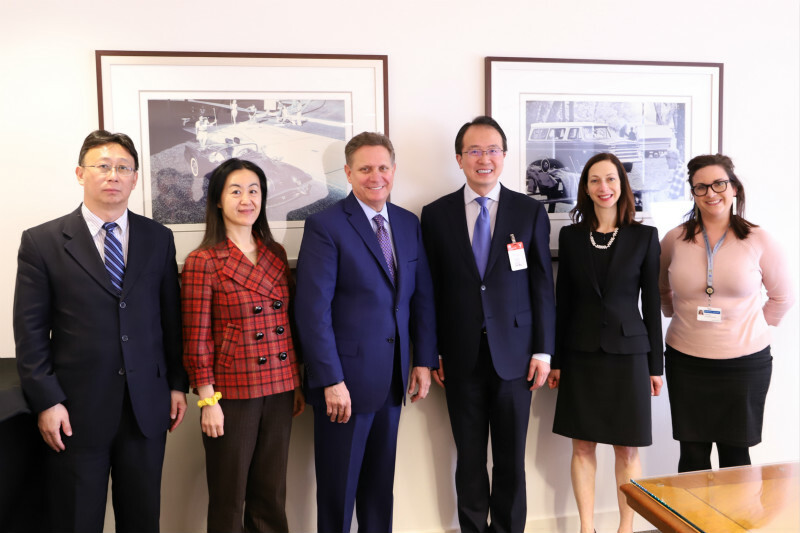 BorgWarner supports dialogue between the United States and China to resolve trade differences.